Alan Bersin, Ben Rohrbaugh, and Nate Bruggeman worked extensively together at the U.S. Department of Homeland Security, where they addressed some of the most difficult border security problems confronting the United States. They developed a track record of success at DHS, and, after leaving government, they decided to bring the same commitment to tackling and solving complex problems to BorderWorks Advisors and BorderWorks North America. Alan Bersin has been a leader on U.S.-Mexico and border security issues for more than 20 years. He has held numerous high-level positions at the U.S. Department of Homeland Security (DHS) and U.S. Department of Justice. Most recently, after serving as the Commissioner of U.S. Customs and Border Protection, Alan served as the Assistant Secretary for Policy and Chief Diplomatic Officer for the DHS. He also served with distinction as a Vice President for the Americas, and on the Executive Committee, of INTERPOL. In addition to his work with BorderWorks, Alan is a policy consultant at the international law firm Covington & Burling and a fellow with the Wilson Center and the Belfer Center at Harvard's Kennedy School of Government. Ben Rohrbaugh has been at the forefront of border and supply chain security and advancing U.S.-Mexico relations for nearly a decade. Ben held senior policy positions at the U.S. Department of Homeland Security and U.S. Customs and Border Protection, and he was a Director on the White House's National Security Council staff where he developed policy on border and supply chain security issues. Ben is currently an Affiliate at the Belfer Center Homeland Security Project at Harvard's Kennedy School of Government. 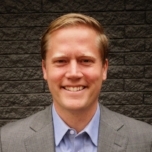 Nate Bruggeman has extensive experience working with clients to solve emerging legal and policy issues. Nate held senior policy positions at the U.S. Department of Homeland Security and U.S. Customs and Border Protection addressing border security, law enforcement intelligence, and U.S-Mexico engagement. Nate has also had a distinguished legal career, most recently at the Colorado Department of Law, and previously in private practice at an international law firm and a leading boutique litigation firm. Nate is currently an Affiliate at the Belfer Center Homeland Security Project at Harvard's Kennedy School of Government.